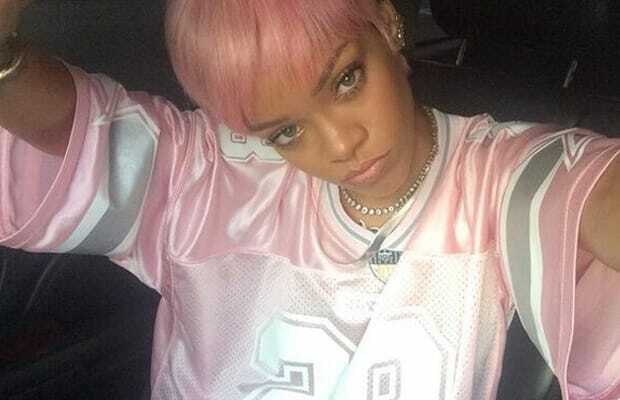 Rihanna manages to piss off a few people at whatever she does, and that includes something as simple and innocuous as throwing on a pink JoyRich Cowboys jersey. Unfortunately, it featured No. 28, which didn't sit well with a sour Dez Bryant because that's former teammate Felix Jones' number. Perhaps next time Rihanna won't be a jerk and consider Bryant's feelings. It's problematic news (first world problem, we know), but there's not too much to hate on when it comes to females wearing sports jerseys unless you're insistent on calling out bandwagoners. However, sometimes it's to show genuine hometown support or love for the team. Other times, they're worn just to look good, which is fine because how many fellas who wear hockey jerseys actually watch hockey? Anyway, here's a gallery of Female Celebs Wearing Sports Jerseys.